In contrast radical feminists focus on patriarchy as the instrument of oppression (emasculation) within the home. Women also make the largest contribution to family life, while men contribute the least but gain the most! Women carry out housework and caring roles within the family as well as supporting men in their leisure and work activities. I am a student in China. My topic is about Marx on the family. Nice to see your paper. Wow sociology made me learn something new. There is no such thing as feminism in my country. Men work, women stay at home watching TV or talking on the phone while housework (cooking, washing, cleaning etc) is done by maids. maids are very cheap here, as cheap as 2000 PKR (20 USD!) a month. And when men get salary, they place it at the hands of their women (mother if unmarried, wife if married). Women take financial decisions and run the household, guiding others what to do. Hi – which country do you live in? Hey could I use your work for my uni assignment? found it very useful! Also do you think feminism has been able to change ideas surrounding gender as a result of the changes in the family? Hi – of course you can. Which pages were seeking references for? Very helpful for my GCSE exam. Thanks! Could you please send me references with publishers. 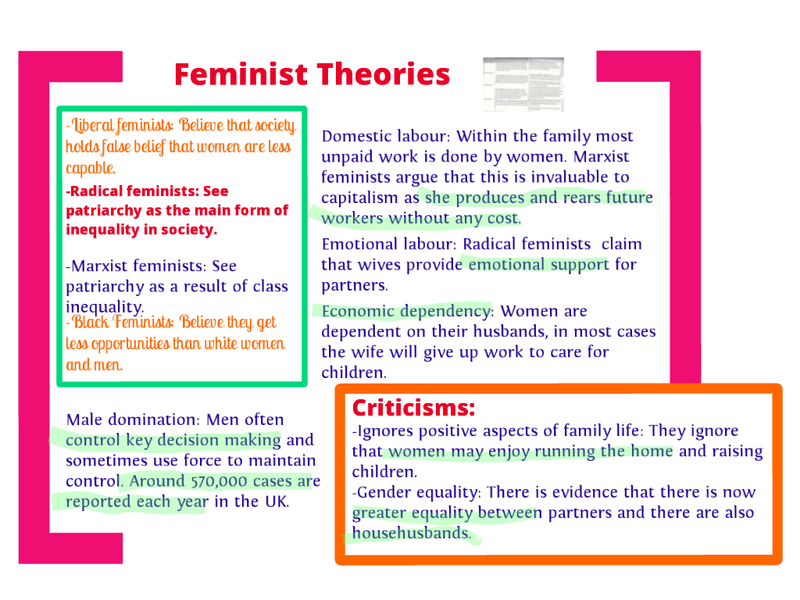 hi, can someone answer this question please: Analyse different Marxist and feminist approaches to issues of power, patriarchy, socialisation and the family.